Baby diaper covers are back in fashion and are called soakers. Because wool stays warm when it gets wet, breathes, and takes water away from the body, nappy covers are made with pure wool. They are knit or crocheted with two strands, or one thick, bulky weight yarn, naturally for absorbance. 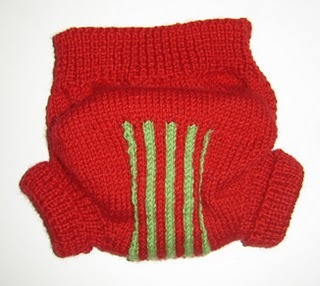 This crocheted all night soaker by Julie West is made with two strands of Lion's Brand Fisherman's yarn or any wool yarn with a gauge of approximately 4 cm =15 st. and is available in a range of sizes, newborn to extra large. The knitted soaker pattern to the right fits 6-18 months and is knit with US 5 (3.75mm) straight needles; the cast on is done with US 3 (3.25mm). 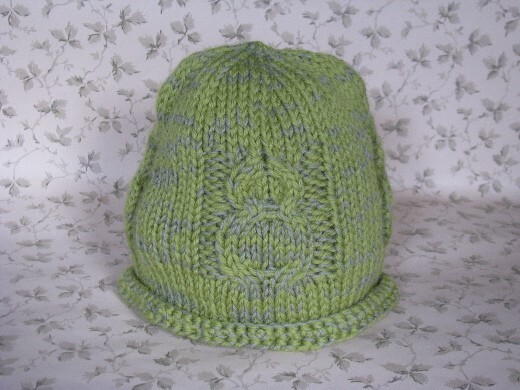 The pattern is free by just jussi from New Zealand. 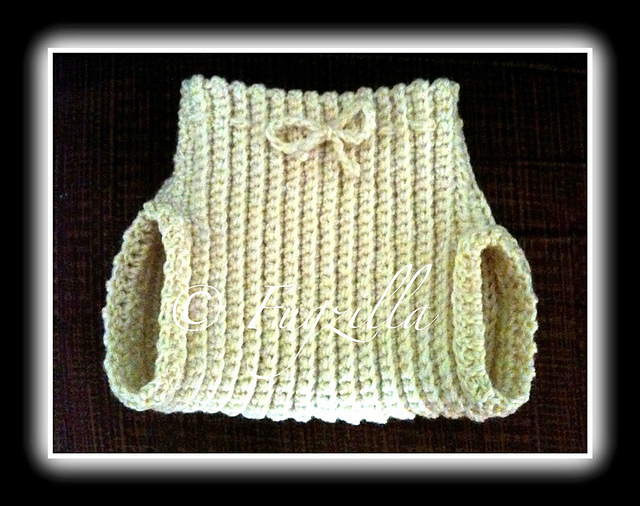 You'll find the pattern link below. The cutest newborn baby item I've seen lately is this little owlie sack, or baby papoose, never meant to leave baby unattended while sleeping, but cuddly and warm in a baby seat or in your arms. It's knit with worsted yarn with a gauge of 5 st per inch on a US 7 (4.5mm) needle. 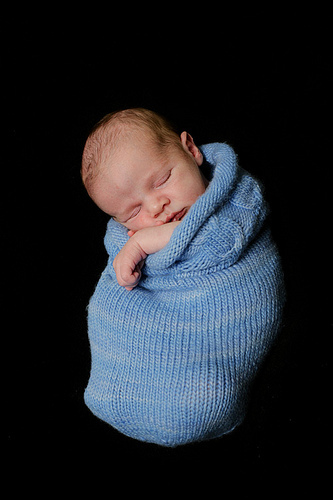 This little blue one is by Tamara and the design seen below is from Comfort Wool. 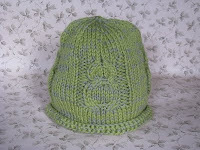 For a matching infant hat pattern, you can try this baby owlet hat pattern I have on Etsy, or by the time you finish the sleeper sack, you'll probably be able to design your own. 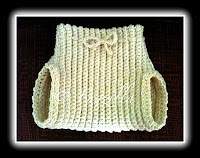 Knitted baby soaker free pattern. 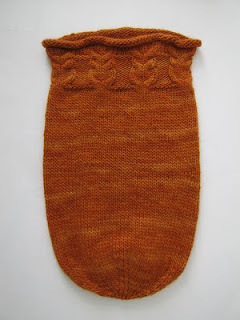 Baby owlie sleeper sack pattern.